The Shop Cats here have successfully found their forever homes! 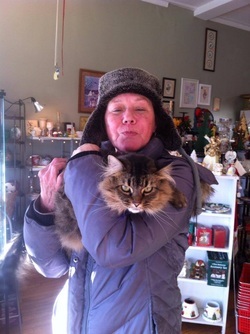 Every cat that has stayed at our shop has touched our staff, volunteers and customers over the years. 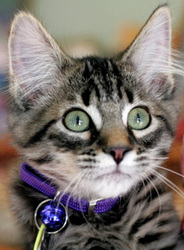 Please send us any stories or memories about our shop cats via the 'Contact Us' button. We would love to add your stories to this page! Rizzo is a sweet, 6 year old cat. She is very gentle and likes to crawl into your lap or keep you company as you read or do computer work. She will ask to be pet, and likes to play. Lady Macbeth is nearly 2 years old and is so sweet. She is somewhat shy and startles easily but once she warms up to you, she loves nothing more than to get attention from you! Will hang around quietly, and likes to watch from a distance. She loves to take a nap in our window! 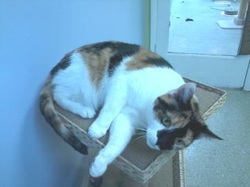 Minuette was a 9.5 year old calico that stayed at the store for only a week before finding her forever home! She was a striking cat and was very sweet and playful. 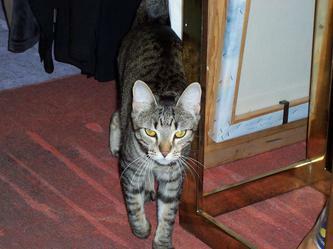 Tiger was a year and a half old, beautiful and friendly kitty! 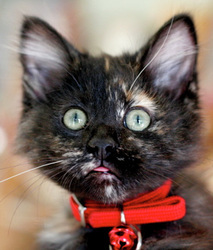 She was at the store only a couple of weeks before she was adopted by a customer. 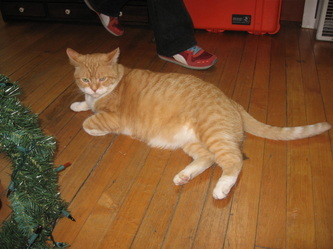 Tiger went home on Christmas Eve, what a wonderful gift! 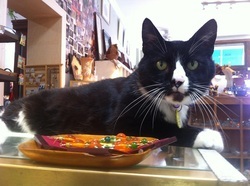 Pici was a very gentle and relaxed, handsome tuxedo cat. He stayed at the store a couple of months before finding his forever home. Rosie was a customer favorite! She made everyone smile with her friendly and outgoing personality. She graced the store with her presence for about a month, and we all got pretty attached to her! She went to her forever home with a regular customer who absolutely fell in love with her! Annie was a sweet calico, she was hard to get to know at first, because she was so shy. She spent a very long time at our store and during that time she opened up and relaxed so much! She loved to drink out of our sink and would often get her entire head sopping wet! Her new owners stop in occasionally to let us know that she's doing well, and we even have a picture of her in her new home in our mural! Nala won over many customers with her outgoing and relaxed personality. We miss her very much, and customers still ask about her. 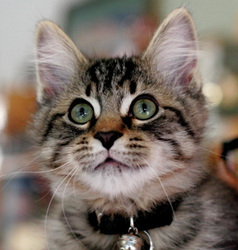 _Ross is the quietest one of his siblings and a little on the shy side, but he is also the smartest one of his brothers. 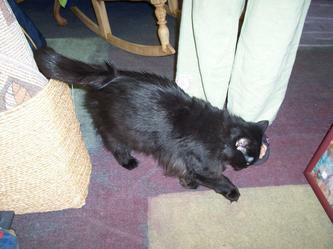 He came to us with his very young mommy, Remy, and his two brothers from animal control. He is quiet and gentle but holds his own in the rough-and-ready play with his brothers and mommy. He cooperates with claw trimming, uses scratching posts and cardboard scratching pads. He is very devoted to his mommy and would love to be adopted with her but in any case he needs to have a companion pet and would be best in a quieter home with children over 5. 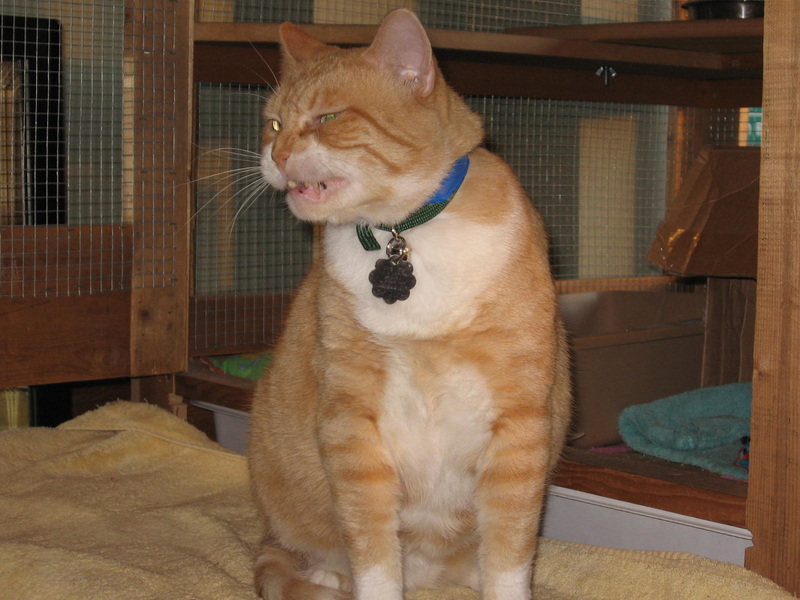 _Ronnie is the middle brother of Ross and Rex and has the most moderate temperament. 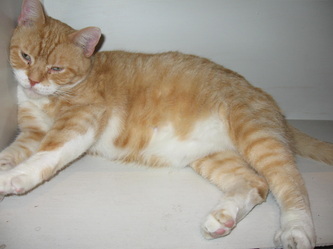 He is sweet and snuggly, gentle and docile, and likes to be on your lap or in your arms. 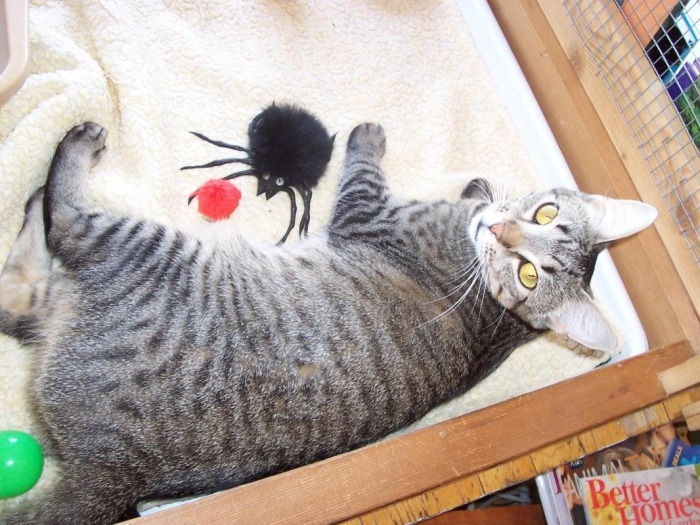 He is cooperative when its time to trim claws, uses a scratching post and scratch pad and is careful with his claws. He needs to have a pet companion and would love to be adopted with one of his brothers or mommy. 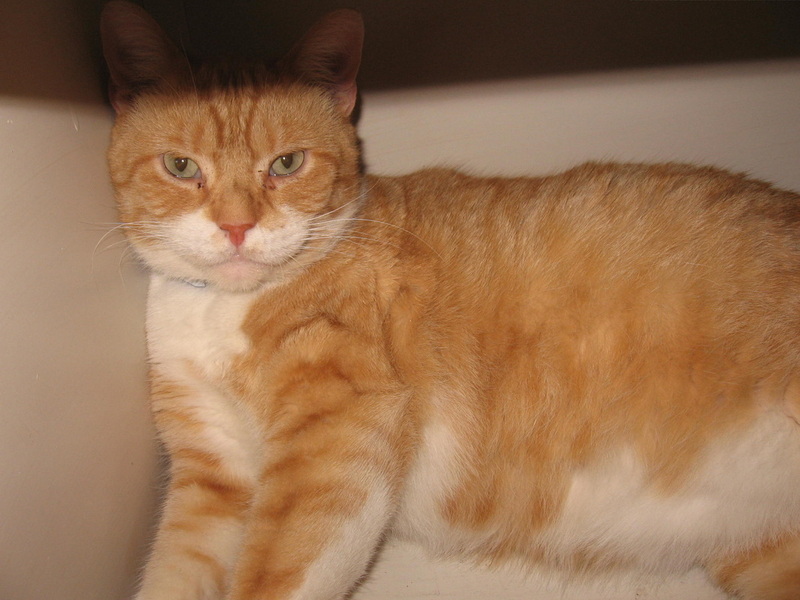 We think he would be best in a moderately active home with children over 3 years. I’m Savannah the cat or as I like to think of myself, Benevolent Queen Savannah of the Animal Care League Resale Shop. I watch over my kingdom from the shop window. If you walk past, you may see me gazing out over the expressway. If you acknowledge me, I’ll respond with a look or meow. I also like to stretch out on the mat just inside the door so that I can greet visitors and make myself available for pets and conversation. My palace (the shop) is a never ending source of interest and treasure. For example, I found a fabulous twine plant hanger that I played with until it disintegrated. There are nooks and crannies to rest in, new inventory to examine, and attentive customers and staff. I’ve also had the good fortune to make some feline friends as we wait for “our person” to find and adopt us. Right now, Lucy and I are buddies and we like to nap and keep an eye on the kingdom and palace together. It’s good to be queen, but my life was not always this pleasant. I had a home and an owner. 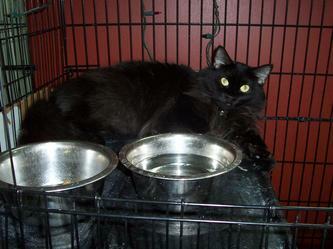 My owner could no longer keep me but cared enough to make sure that I was taken in at the Animal Care League. My owner left me, in my carrier, at the ACL back door. Wow, what a shock! 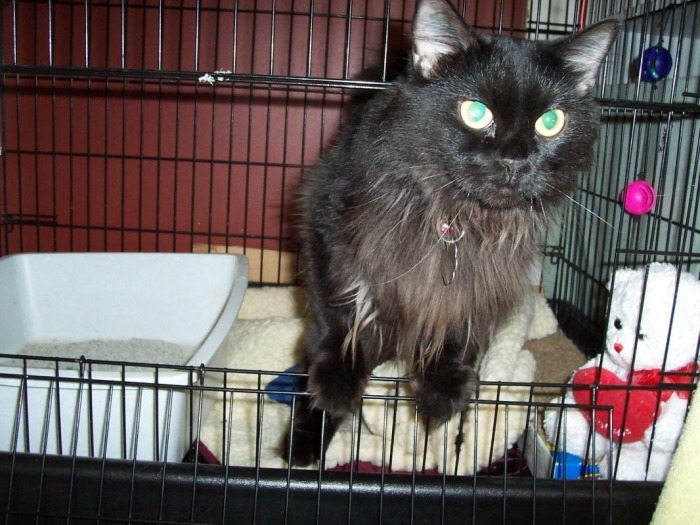 At the Animal Care League shelter, I was safe, had my own cage, good food, and people who looked after me. I also had to cope with noise, a lack of privacy, and many (too many) cat neighbors. I was overwhelmed and spent my time curled up in my cage. I was unable to relax and encourage people to get to know me so that they could see I’d be a wonderful addition to their family. Then my luck changed when I was moved to the resale shop. Here it’s quieter and I have more freedom. There are fewer cats so I’ve been able to develop feline friendships like my treasured one with Lucy. I can relax and be me--Benevolent Queen Savannah. As queen, I get regular brushings and now my beautiful soft brown tabby fur is quite striking. Here I’m relaxed enough to use my pleasant voice to talk with people and to display my cute queenly walk. Here I’m able to show what a wonderful pet I will be. When adopted, I will happily pass my palace position on to a new king or queen. 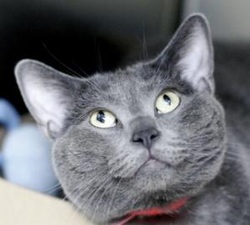 For now, Benevolent Queen Savannah awaits her adopter. 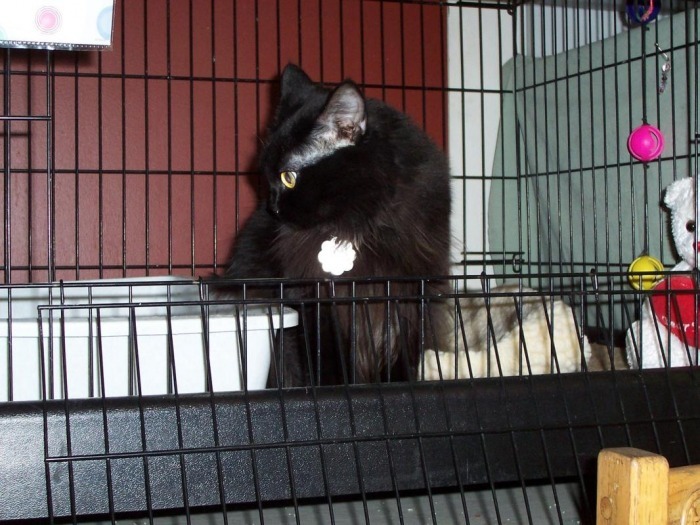 Lovey sweet, a little bit shy, needs a quieter home & cat companion, okay with quiet respectful kids over 5. 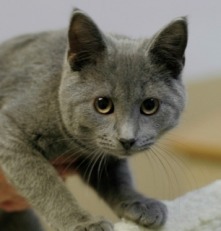 Lovely Lucy is a pretty silvery-grey girl with a playful personality tucked inside. 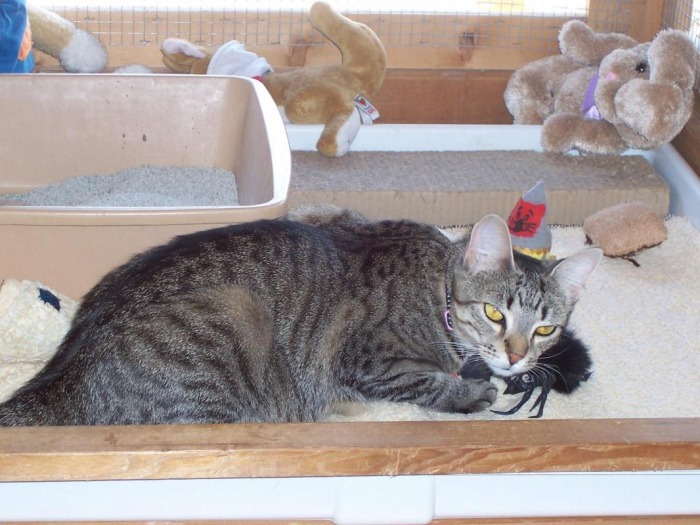 Lucy is a little shy at first but definitely welcomes human companionship and can quickly be engaged in play. 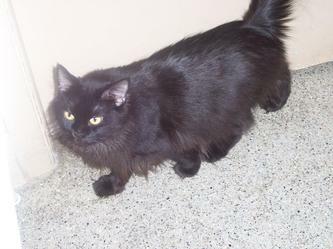 She enjoys being petted, and when you earn her trust, she will honor you by snuggling up in your lap. She likes to look out the window but has no desire to be outside and is appreciative of comfy soft places to nap. She will eagerly greet you at the door and be your quiet, constant companion, if you give her the chance. Lucy would do just fine in a single or multiple cat home, as long as the other cats remain respectful. A quieter household, with someone willing to give Lucy just a little extra time to settle in is what Lucy's dreams are made of. 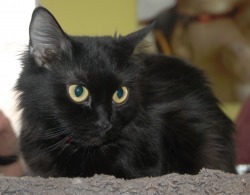 We think that given a chance she would blossom in a home where she could feel safe and loved. Lucy can be visited/adopted at our 2nd Chance Shop, 808 Harrison, Oak Park. Phone: 708-383-9660. Lovely Rita & her pal, Maynard, came to us when someone died. Friends & family were not able to take them in so these two sweet, lovey cats found themselves homeless. Rita is a little shyer at first and so much change in her life has her a bit bewildered and a bit depressed but she badly wants to love and be loved. When you talk to her she purrs and gratefully lays her head in your hand. This pretty and affectionate girl would do best in a quiet home where she can feel safe and loved again. We think she would be fine with quiet respectful kids over 5 but no dogs. If you only want one cat, she would be okay but if you are thinking about two (and two is so much better) she would be fine with a companion too. RITA IS A "SPONSORED PET!" This is great news for Rita and her new adopter! An ACL sponsor has generously donated $25 to assist Rita on her way to a new home. 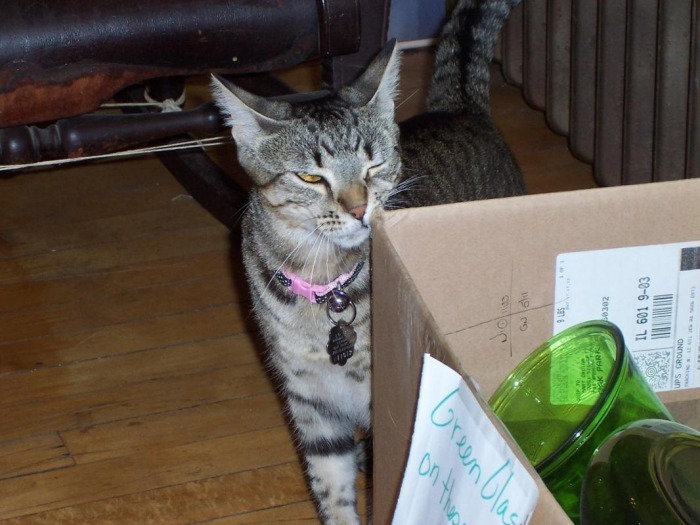 This amount will be deducted from Rita's adoption fee at the time of her adoption. 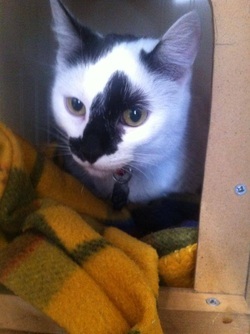 Rita can be visited/adopted at our 2nd Chance Shop, 808 Harrison, Oak Park. 708-383-9660. 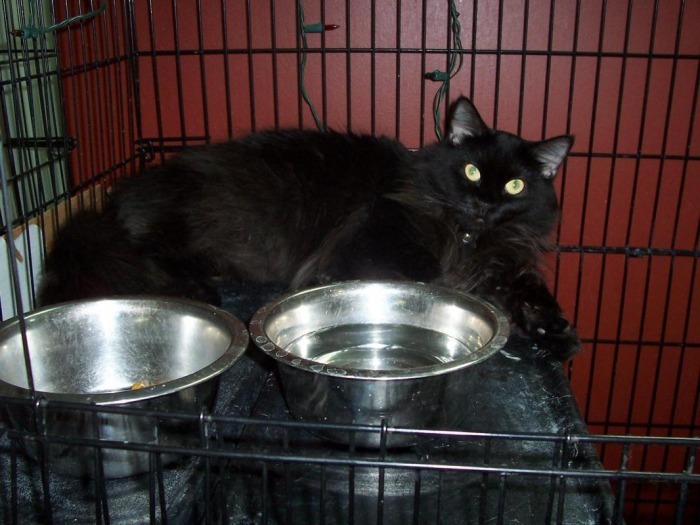 CARMEN IS A "SPONSORED PET!" 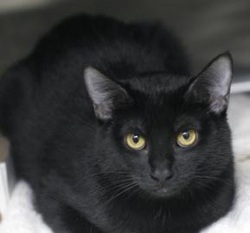 This is great news for both Carmen and her adopter! An ACL sponsor has generously donated $25 to assist Carmen on her way to a new home. 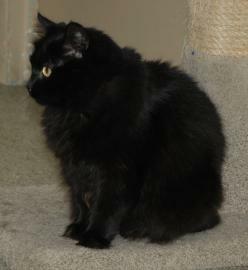 The amount will be deducted from Carmen's adoption fee at the time of her adoption. Carmen found her way to ACL when a family member became allergic. Carmen will melt your heart with those big round eyes. 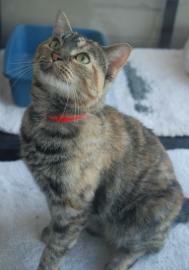 She is a vocal girl and is very affectionate. She can usually be found laying contently on top of the highest perch of the cat tree. Carmen is good with other cats. 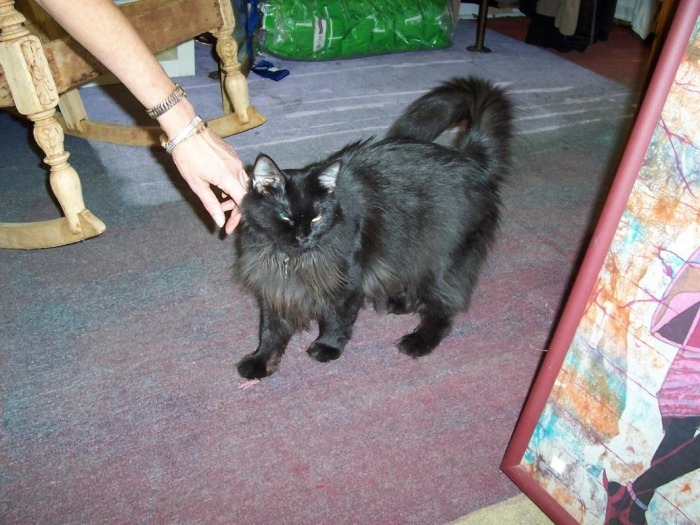 She is recommended for an experienced owner and well behaved children ages 5 and up. 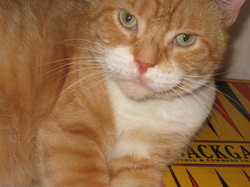 MAYNARD IS A "SPONSORED PET!" This is great news for Maynard and his new adopter! 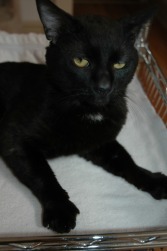 An ACL sponsor has generously donated $25 to assist Maynard on his way to a new home. 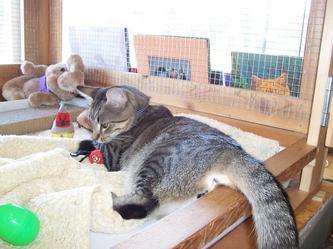 This amount will be deducted from Maynard's adoption fee at the time of his adoption. Orphaned at 8-years old when his owner died, Maynard spent a few days in an empty house until a caring neighbor could bring him to ACL. Even with the enormous transition he's had to make, Maynard still lets you know he believes in the power of love and attention. A boy that really wants to love and be loved, after a bit of encouragement he'll lay his head in your hand and nudge you for more pets. If first steps are any indication of desire, this handsome boy is definitely letting us know he's hoping for a quiet, new forever home. 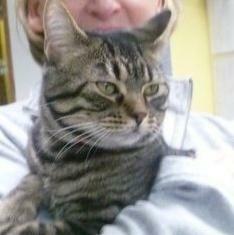 Maynard can be visited/adopted at our 2nd Chance Shop, 808 Harrison, Oak Park. 708-383-9660. There is so much to say about Wesley. He has had some bad luck in his young life but he is as sweet and unspoiled as can be. He is very smart as well as very curious, and keeps his humans entertained and alert. At first he is cautious with strangers but with his friends he is delightful, he nuzzles, nudges, sits on laps, and wants to be picked-up, held and carried around like a raja. He even gives good hugs. He has a Wookie-like voice, he coos and chortles and squeaks, and likes to catch the drips from faucets. 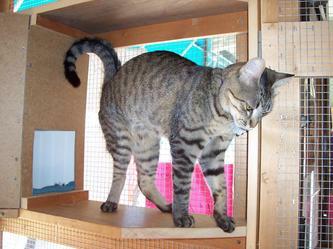 Besides having an outstanding personality he is exotically handsome with striking classic tabby patterned fur. He seems to enjoy the company of the other shop cats, especially Savannah. They initially had separate cages but soon after meeting they moved themselves in together and now share a cage. He has always lived as an only cat but if you are hoping for a two-some, Wesley & Savannah may be the perfect match. You can meet him at ACL’s 2nd Chance Shop. 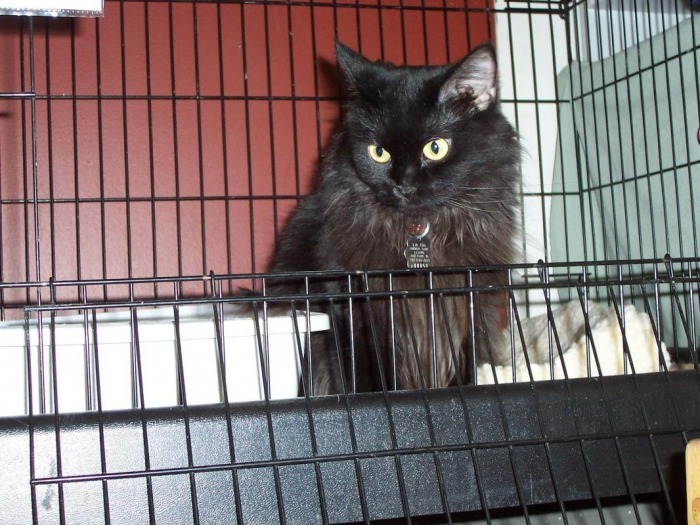 Sydney is a young feline with a sleek black coat and golden eyes that quickly catch your eye. This slender little girl was found early one September afternoon abandoned outside our shelter door. Despite losing her home, Sydney remains friendly and welcomes your gentle pets and will nudge your hand to encourage you to continue petting and keep her company a little while longer. Sydney is dreaming of a quieter home, maybe even with another feline in residence, and a caregiver to love her and she will indeed love you back. Children over 6. 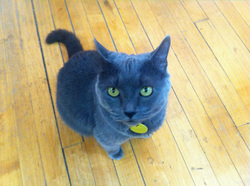 Sydney would love you to come and visit/adopt her at the 2nd Chance Shop, 808 Harrison, Oak Park. Phone: 708-383-9660. 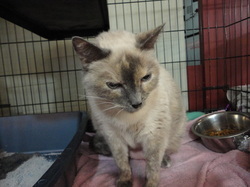 Porsche is a lovely senior cat, front declaw, with a gentle disposition. Porsche loves to watch for visitors and sits by the door, happy to meet and greet you, hoping you will stop to pet her soft black fur. Happy for the attention, Porsche will then say "thank you" with a loud purr. Porsche is soft spoken and, when not waiting for visitors, has a favorite carpeted place where she can be found napping or just watching all the comings and goings of the adoption room. 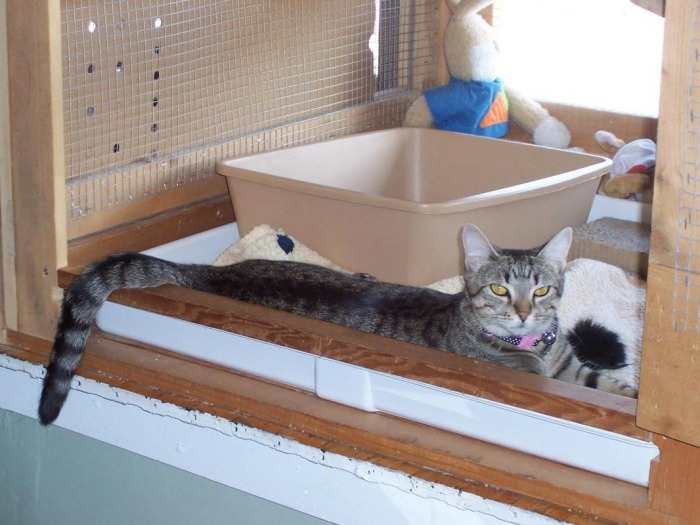 Brought in through the local animal control after being abandoned in a park, Porsche hopes her exit from the shelter will be a bit more dignified and come complete with a caring companion, a quiet home, maybe another feline resident and even a little piece of carpet to call her very own. Children over 6. 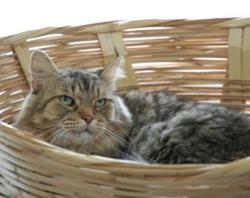 Maserati is a laid back brown tabby, longhaired, who finds contentment sitting upon your lap or sleeping in a sunny window. When not engaged in the aforementioned activities, he finds happiness investigating the sink in the main adoption room where he waits with anticipation, hoping to quickly lick any drips that may come from the faucet. 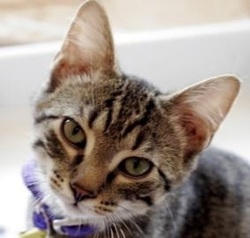 Maserati was brought to ACL after local authorities were alerted to a man dumping two cats out of a box in a local park, Maserati being one of them. Maserati is looking for a quieter home, a caregiver with a lap to share and if that home had a leaky faucet, well, that would be a bonus too! Children over 8. 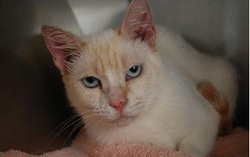 Palamino is a beautiful, petite creamy white cat with flame point tabby markings on her ears & tail. When she and her three kittens unexpectedly showed up at our door, and we just couldn't turn the little family away. After getting to know her we can see what an outstanding little cat she is. Spending time with Palamino reveals an affectionate little cat who is companionable and enjoys a comfortable lap. We can see that she likes quiet well behaved children and is tolerant of other cats and possibly quiet, respectful dogs. She is gentle and agreeable, gentle with her claws, agreeable with trimming them and uses scratching posts with gusto. She enjoys a nap as much as any cat but she has a frisky side too and loves to chase little toys. 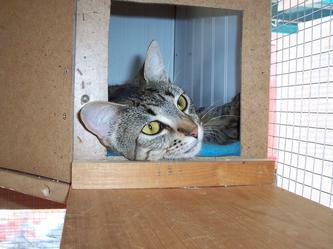 Palamino is hoping her new forever friend will take her home very soon. You can visit with her at ACL’s 2nd Chance Shop, at 808 Harrison, OP. 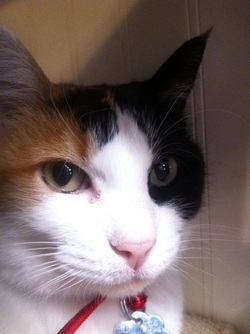 Callie is a beautiful calico cat with a luxurious and silky soft coat. 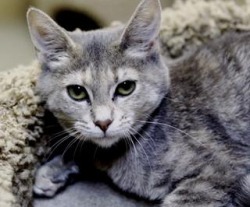 This girl is friendly and will purr contentedly upon your lap, and is also inquisitive and enjoys exploring her new surroundings. 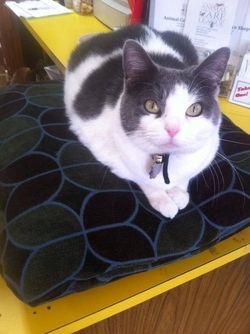 When she arrived at the shop she was immediately at home and eager to get acquainted and make new friends. Callie appears fairly comfortable with other cats as long as they remain respectful but she really doesn’t want to live with dogs. 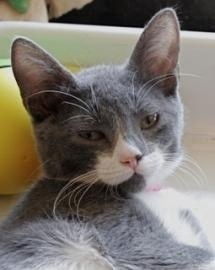 Callie is happy to leave the streets behind her and is looking forward to a lifetime of love in her new forever home. All four are the loveliest, happiest kittens you will ever know. All four hoping for a home for the holidays. When we heard that little Moti was destined to be tossed out on the street, when her owner moved, we knew we had to intervene. She must have been well loved sometime in her life and she is trying so hard to bond with someone who can be her person. Unfortunately, it is often staff members and we all have way too many pets of our own already. 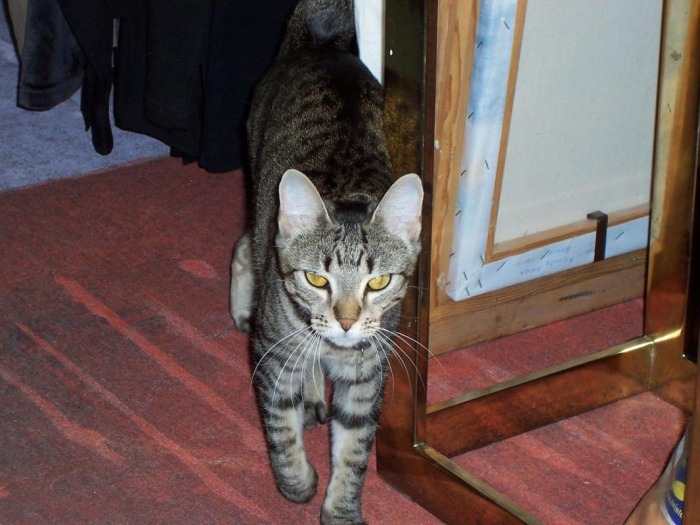 When you take a little time to get acquainted she is very affectionate and likes to be near you while you work or relax. 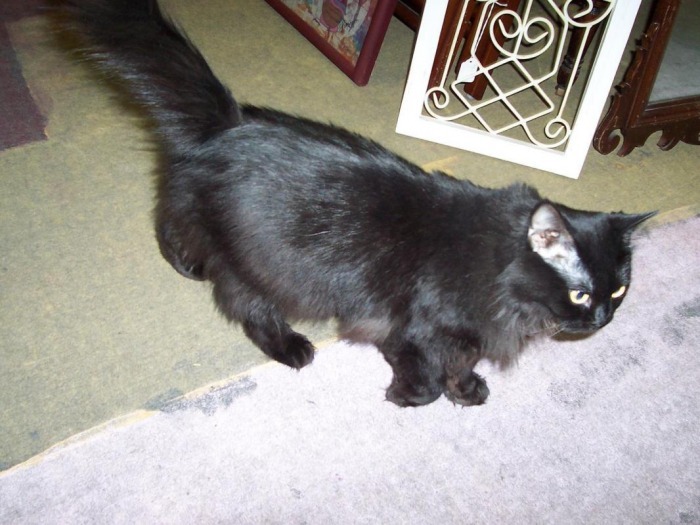 This petite and very pretty little girl is a wonderful little cat with an exotic parentage, Persian or Himaylan, and longish, silky-soft black fur that she mostly maintains well, but she loves to be brushed too. Moti knows her name and comes when called and answers with a pretty little chirp. 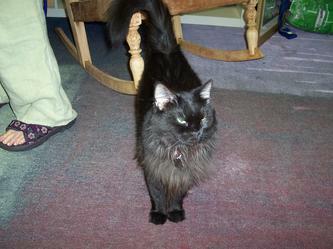 She is comfortable with older, well behaved, quiet kids over 6, cats & dogs but does not care for loud voices or noises. Moti dreams of a long and peaceful life where she can curl up with her new human companion, secure that her new home will be forever. diarrhea problems, but we are sure she will be just fine. She is such a lover! Thanks for taking good care of her at the shop. Voted- Valedictorian, Most Handsome, Forever Faithful, will “stand by you”, The quiet, soulful one, but still waters run deep, you are honored to be his friend, an old soul in a youngsters body, was orphaned and found in the Jewel parking lot when only a few days old, expresses affection by laying next to you and carefully cleaning your fingers with a raspy little tongue, best with children over 8. Hi Stephanie -- thanks for the e-mail. Someone did call from the shelter yesterday and I was able to give her a glowing review. First things first: her name. My daughter said that her face looked like that of a snow tiger, so I suggested we try to find an Asian name for "snow tiger." In doing that search, I ran across some Korean mythology about the four guardian gods, one of whom is "Baehko" (Bee-KO), the white tiger. So, little Jolie is now Beahko and it seems to suit her well. The introduction was as smooth as you can imagine. 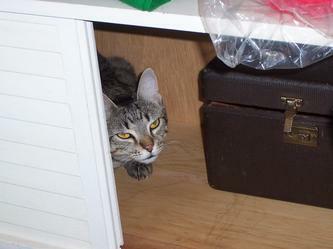 I kept them sequestered for two days, but neither cat wanted anything to do with that. They were playing with each others paws under the door, so I let them meet after only a day and a half. After a lot of sniffing and only one hiss from each of them, they each seemed to decide that this was workable and -- honest to God -- are total buddies already. My older cat watches her constantly, plays with her as she's chasing whatever, allows her to snuggle up next to him, and I even caught him cleaning her head yesterday morning (he would deny this). And she follows him around as if he's a big brother: "hey, whatcha doin, where ya goin, can I come?" It's adorable. I've not seen my guy so active in years, and he seems to be thoroughly enjoying having the extra activity in the house. And the activity is fun! Baekho is just a ball of loving, cuddly, curious and playful energy. She takes delight in everything and is consistently finding things to play with. She does tire out, though, I've noticed, and has found that a late-morning nap on my lap (while I'm at my desk) to be a most satisfying way to wind down after a busy morning. Litter box has not been a problem at all -- I took your advice of moving it little by little, and she's had no trouble at all in adjusting to it. In fact, she seems to have no trouble at all in adapting to anything; she's just perfect. I can tell she's gotten an awful lot of love from you as she is the sweetest, most cuddly thing ever. You were right about the face licks, and licking my nose and my bald head has become her pre-bedtime ritual before curling up next to me for the night. It's both endearing and annoying, but I'm letting her go with it because it's just so sweet. In short -- this is working out spectacularly well and I am thrilled. She is most definitely a one-in-a-million type of cat and I'm just loving her to pieces. I'll send some photos when I get a chance, but do feel free to write any time. Thanks for raising such a sweetheart -- she's perfect. 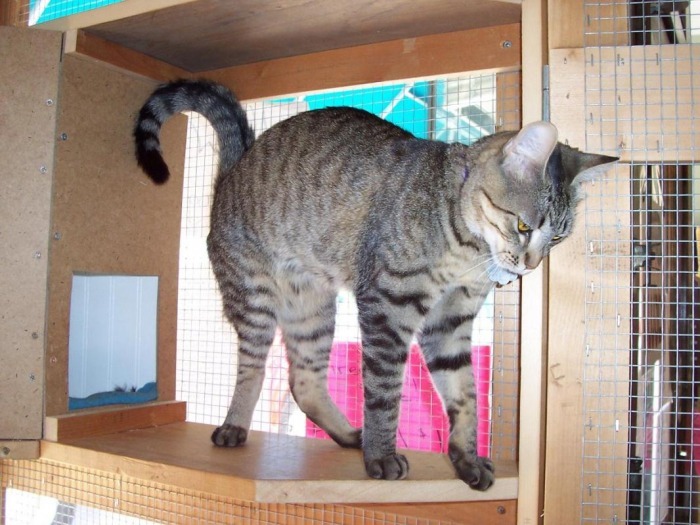 Triskit is a sleek and graceful, exotic looking tabby with very soft fur who loves to be brushed almost as much as she loves playtime. She especially adores "cat dancer" & other little toys to chase around, but when she tires, she seeks out unusual nooks and crannies to nap. 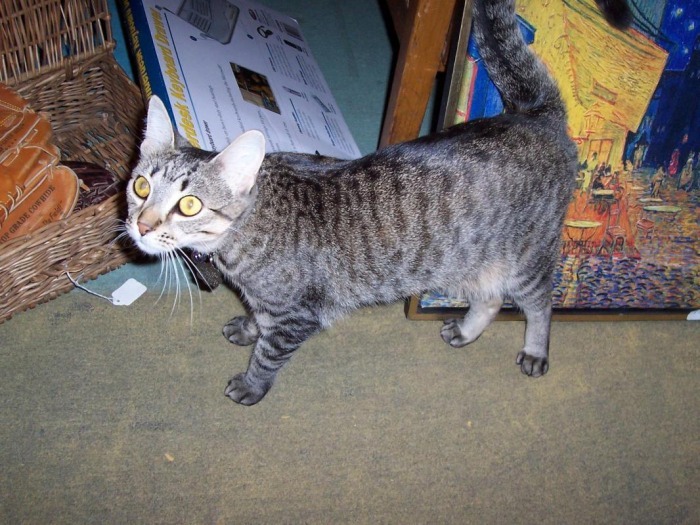 When she makes your acquaintance, she is a very gentle, affectionate cat and she gives head bumps to her friends, likes to snuggle on their laps and have her back scratched. 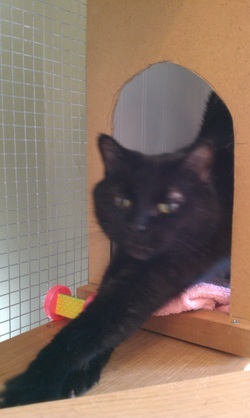 She uses scratching posts and is easy and agreeable to having her claws trimmed. 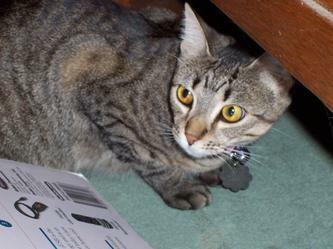 Triskit is an unusually smart cat and often outwits her human friends. Maybe because she has been through a lot of change in her life, she is cautious until she gets to know a person but she is dreaming of a quiet home where she can be the only cat, have a cat friend and enjoy the companionship of a loving, experienced cat caretaker, possibly a quiet respectful dog and maybe gentle well behaved children too. If that sounds like your home, come in and meet her. 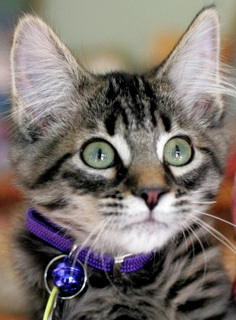 Triskit can be visited/adopted at our 2nd Chance Shop, 808 Harrison, Oak Park. Phone 708-383-9660. Children over 5 please. Our boy Binks arrived through the local police department, rescued from life on the streets. For sure he had a family at one time because he has great manners and enjoys the company of humans. 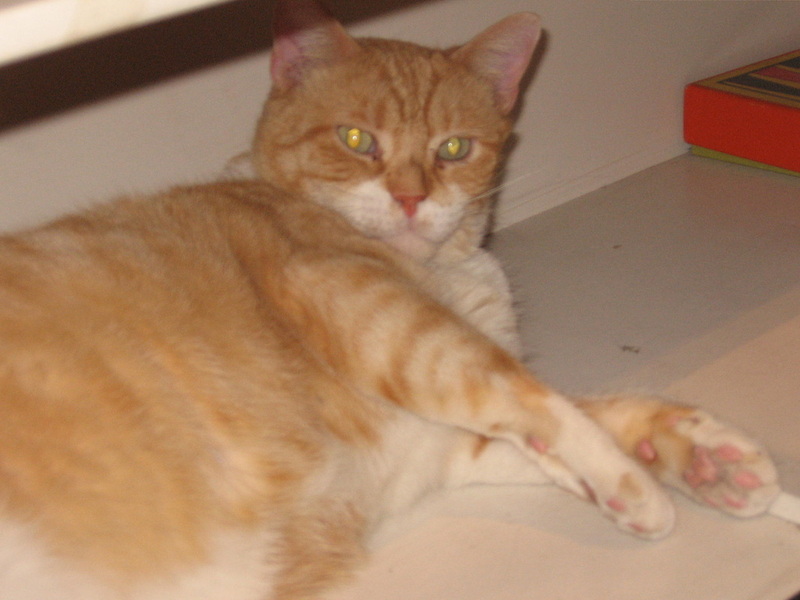 Binks is confident, friendly, relaxed, very polite and loves to be held or sit on your lap. 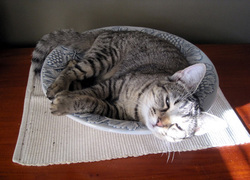 He likes to be in the middle of the activity but when it gets very busy he finds a quiet place to nap. Plus, he is very handsome, exotic and sleek. 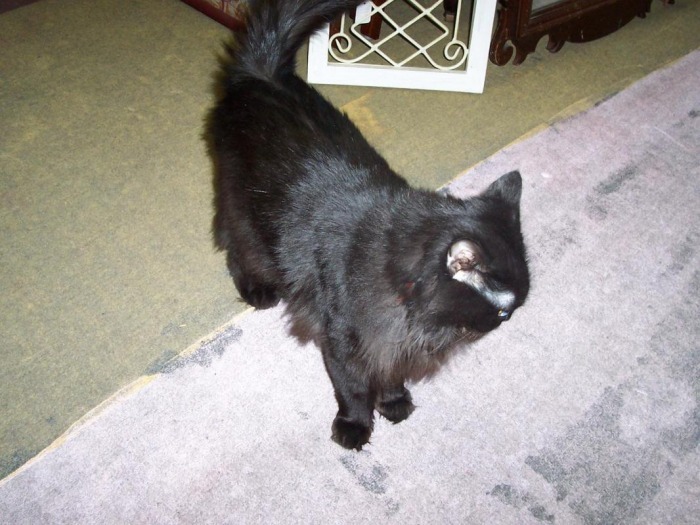 He would have been adopted ages ago if he were not black, because the black cats are often the last ones adopted. At the shop he met little Rena and the two quickly became best friends. They do everything together, eat, play, nap and hang around. Sometimes they even do the litter box together. We could split them up and they would probably be fine with another cat to pal around with but they would be an awesome pair together and they are a very cute couple. We think he would be best in a home with children over 6 and a cat playmate. Get to know Mr. Binks at the ACL’s 2nd Chance Shop. 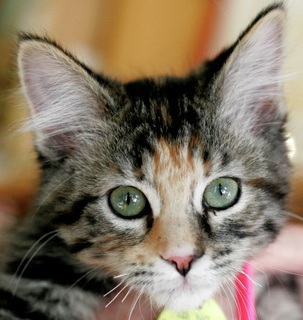 Pretty little Rena was adopted from ACL as a little kitten but after awhile, someone in her new home found they were allergic to her. So she came back to us for another chance at a forever home. Her people told us that she uses a scratching post, is a lap cat and snuggler, likes to be picked up, enjoys visitors, has great litter box habits and is an all around winner. At the shelter she was sweet and friendly to all she met, cats and people. On her first day here at the shop, she gently patted our hands and licked our fingers and when petted, she purred like crazy and gave us head bumps. She met her best friend Binks at the shop and the two are usually together. They spend most of their time near each other; they eat together and nap together. 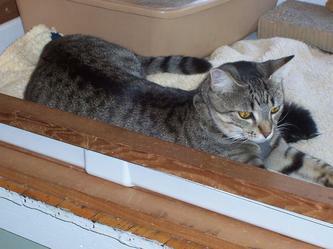 When they play, Binks is very gentle with Rena since she is smaller and younger. They can be split up but they would love to be adopted together and they are a very cute couple too.